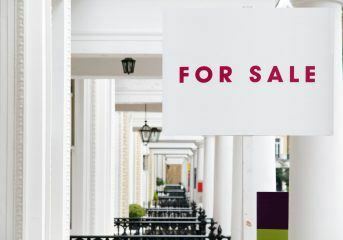 The Residential Landlords Association (RLA) is warning that the Government has failed to prepare landlords for the post-Brexit private rental sector. The organisation believes that EU citizens may face problems accessing rental housing after Brexit. Ministers have failed to issue any guidance for landlords around the implications of Brexit on the Right to Rent scheme. Under this controversial policy, landlords are responsible for checking the immigration status of their tenants, with the prospect of prosecution if they know or have “reasonable cause to believe” that someone who does not have the right to rent in the UK is occupying their property. With two-thirds of all EU nationals in the UK living in private rental accommodation, the RLA is worried that landlords have received no specific guidance about their status, other than sweeping statements by ministers. Last month, a High Court judge ruled that the Right to Rent scheme breached the European Convention on Human Rights, on the basis that it led to inadvertent discrimination against non-UK nationals with the right to rent. The RLA’s most recent research suggests that around a fifth of landlords are less likely to let to nationals from the EU or the EEA as a result of the Right to Rent scheme – a figure the RLA warns could increase post-Brexit. David Smith, the Policy Director for the RLA, insists: “Landlords are not border police and cannot be expected to know who does and who does not have the right to live here.